This holiday season is going to be a big one. Holiday retail sales are expected to hit $720 billion this year. The good news is that our own study found that most consumers prefer to shop with small businesses when they can. You just need a plan to help you take a piece of that big ole holiday pie. That’s where marketing comes in. You can easily message your regulars through email and your organic social media accounts. But to get in front of new customers — and to really be top of mind for your regulars — you may need to try advertising. Recently Reveal Mobile, a location-based marketing firm, surveyed 260 small to medium-size business owners and managers to see how they plan to advertise during the 2018 holiday season. Sixty-eight percent of their budgets will go to digital channels like social media, search engine marketing, Amazon, and digital display. Thirty-six percent plan to spend the majority of their ad budget on social media ads. Email and TV ads ranked second and third, respectively, at 15.2 and 14.7 percent. Forty-two percent said Facebook is their primary channel for advertising spending, despite the recent dip in users. Google and Instagram came in second and third as the top spots to advertise digitally. Twenty-one percent of respondents are allocating the majority of their spending to target Black Friday shoppers, while 19 percent are doing the same for Cyber Monday. 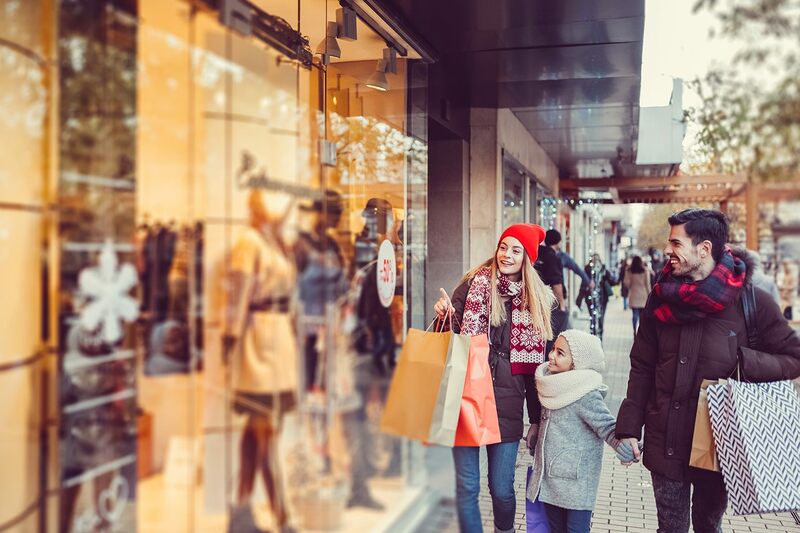 Eighty-four percent of businesses said location-based marketing would have greater importance in their campaigns this season. Thirty-seven percent of businesses surveyed boost their ad spending during the holidays, while 30 percent keep their budgets the same. The big takeaway is that small businesses have bought in to social media advertising. Why, you may ask? A platform like Facebook offers really great targeting capabilities (you can get pretty granular in terms of locations, age, and even interests), and you don’t have to spend a ton of money to start seeing results. Social media advertising is scalable. Another thing to keep in mind: about 40 percent of SMBs surveyed are going to participate in the Thanksgiving weekend sales extravaganza. It’s a very noisy weekend already since large businesses spend a lot of money advertising. So you want to consider carefully whether you can reach your goals by joining in or if your advertising will get drowned out. These data points should give you some idea of where to start, but don’t just follow the lead of these other businesses. First, you need to dive into your own data. If you’ve advertised in the past, what’s worked and what hasn’t? Use that information to create a plan that is right for your business. Identify your goal: Do you want to bring people to your store? Do you want to drive people to your website on Cyber Monday? Do you want to sell a certain item? Pinpoint your audience: Are you going to direct this at new customers? Or your regulars? Where are they? Do you want to reach people of a certain age group or gender? Determine your budget: How much money do you have to advertise? Run the numbers on this one — you want to spend enough to see the effect, but not so much that you don’t get a return on your investment. Decide when you want to run the ads: When do you people to see these ads? Does it need to last all season or can it be just a short burst before Black Friday? Choose your channels: Using all the information above, decide what channels will help you reach your goal with the budget you have. For some channels, you need to invest a lot to see results, so do your research. Create your content: Develop whatever copy, images, or videos you need for each channel. Make sure the message and call to action help you reach your goal. Smart email marketing to keep customers coming back. Easy-to-use email marketing, private feedback and actionable customer insights.